I love trying new fragrances and I always have loads of little samples in my stash, as they are a perfect way to discover new scents and a great size to keep in your handbag, when you're out and about. 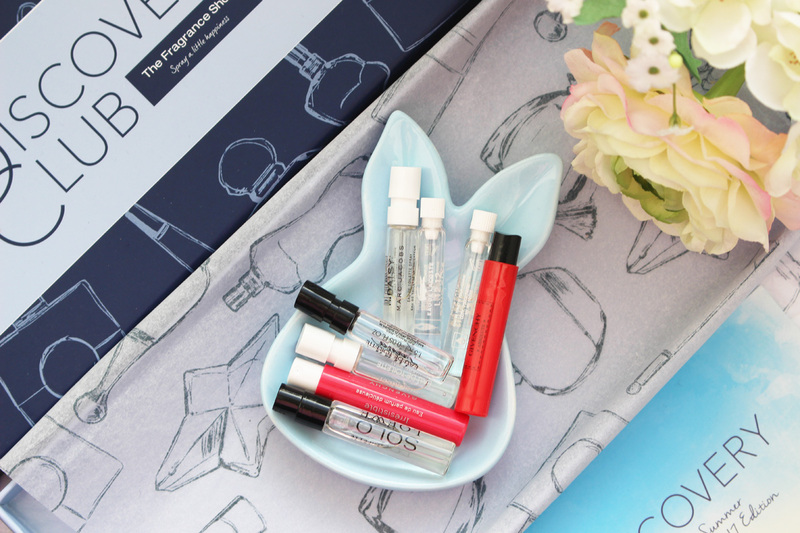 The Fragrance Shop Discovery Club is an amazing way to explore new options and it works as a quarterly subscription service for just £5 per quarter! You simply sign up and get your box delivered to your door, filled with a handpicked collection of samples, mixing timeless classics with the hottest fragrances. As part of your subscription, you also get access to exclusive savings. The Summer box features loads of lovely fragrances, including Marc Jacobs Daisy, Givenchy Live Irresistible Delicieuse, Nina Ricci Nina and Luna, Lacoste L.12.12 Magnetic Pour Elle and Pour Lui, Loewe Solo Esencial and Givenchy Gentlemen Only Absolute. A great selection, including options for him and her. My personal favourite is the Givenchy Live Irresistible Delicieuse. It smells incredible! You can order the box and sign up to the service HERE. It's such a great deal!